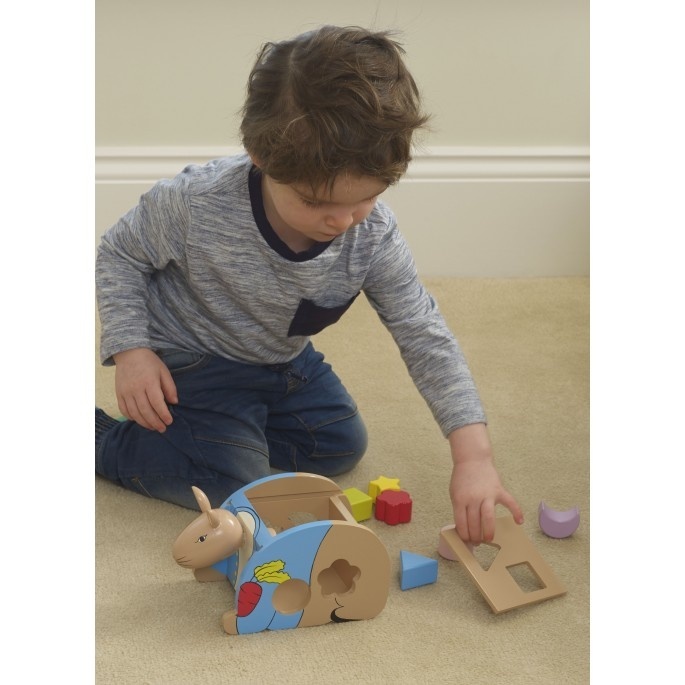 This Peter Rabbit shape sorter is the perfect traditional wooden toy. This wooden shape sorter, in the design of Peter Rabbit, comes with 6 wooden shaped blocks. 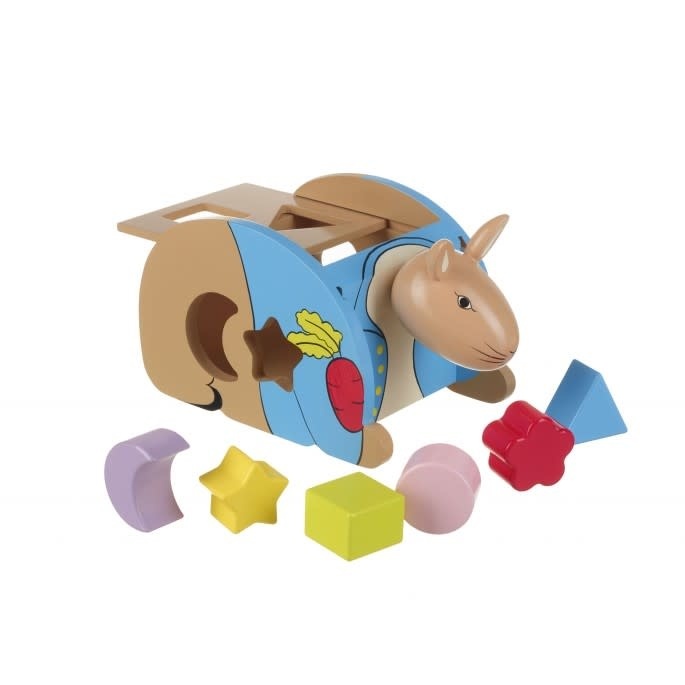 This Peter Rabbit shape sorter is the perfect traditional wooden toy. Hand painted in non-toxic paint, this shape sorter is great for little hands, whilst teaching the kids about colours, coordination and shapes.